The Poet Pallet, Dunedin’s most boisterous celebration of spoken word performance, has helped set the Waitati Music Festival apart from other summer festivals for the past 9 years running. This year’s Poet Pallet features a super cool line up of poets with strong connections to Blueskin Bay, along with a lively array of bands, solo musicians and comedians from the Deep South. 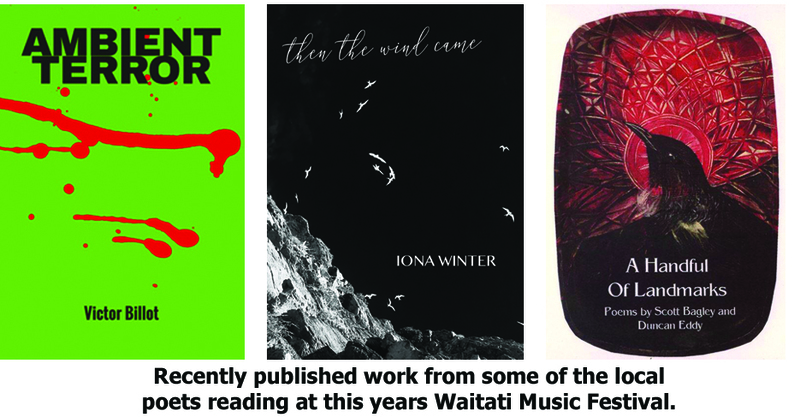 Amongst this year’s performers are Karitane poet and short fiction writer Iona Winter, winner of the 2016 Headland Frontier Prize, and Warrington School old boy Victor Billot, who released his third book of poetry “Ambient Terror” in 2017.